I’m gonna go on the record right here, right now and say that this time of year is my very favorite. There only downside or fall/winter is that it wreaks havoc on my skin. This is particularly annoying because this is the time of year we take photos for Christmas cards that we mass distribute to friends and family. Not to mention the endless parties that happen over the holidays. So, I have put together my list of must haves for the season. You will be dazzling and ready for any photo or party in no time. This beauty is a lifesaver. I discovered it when I moved to Seattle years ago. It has enough moisture to keep skin looking dewy, but it never feels or looks oily. A jar is $39 and will last you all winter. A cult-favorite and for a good reason. This lip balm does wonders. It packs enough moisture to keep lips soft instead of rough or peeling. There is just enough of a tint to double as your lip color. Plus, it isn’t waxy like a lot of other products. I keep them stashed in all my purses. Sparkle is everywhere during the holidays and it should be on you too. If you are a 12 year old girl then you can pretty much put glitter anywhere and get away with it. Once you are over the age of 18, I suggest keeping glitter on your nails only. Paint your nails with Essie’s Size Matters. After it dries, put a coat of Gold As It Gets topcoat on. The result is the perfect red manicure with a subtle gold shimmer. Classy & party-friendly. Don’t skip the blush. Unless of course you like people asking if you feel unwell. Look lively and youthful with a touch of color on your cheeks. Nars blush is probably the best I have found. It is pricy, but highly pigmented. This means you don’t need much product to get the desired color result. That means it lasts longer AND you will avoid the ‘cakey’ look many people have when they have too much make up on. For a natural flush…Nars is the way to go. No one likes being pale, but winter is not the time to look like a Tahitian goddess either. This bronzer gives you more of a warmth to your face instead of an awkward tan. It works on pretty much any skin coloring and comes with a great brush. Again, it is a bit expensive, but you get what you pay for. The holidays are a perfect time to wear a bold color on your lips. A lipstick can look really elegant, but it can also be a bit flat or draw attention to chapped lips. ColorBurst has the color pigment of a lipstick, but the texture of a gloss. There are numerous colors and can be used alone or on top of your favorite lipstick. A great budget-friendly item. Smokey Eyes are a great look for holiday events. But, they can be intimidating. This compact takes all the work out of it. It matches coordinating colors together, gives you a primer & highlighter , and tells you where to put all of it. The colors are really flattering and stay put like a champ. Nothing not to love. What are the products you can’t live without during the winter months? I’d love to know! Some days I have trouble looking past the piles of projects I need to finish, the mound of clothes left to be folded from yesterday’s laundry and the memories of all the things I failed to do well. If I am not careful those are the only things I see. The only parts of me that I see. It’s Sunday & time to share something I love. This video has been quite the joy to me this week. The first scene is my favorite. What do you think? Do you love it too? My husband went with our kids & his parents to Best Buy today. I’m not a die hard Black Friday shopper myself. Perhaps you are? Slanted Notebook. The perfect gift for my non-stop journaling. A coat. 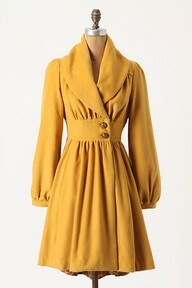 I love a good coat in a fun color or with great details. 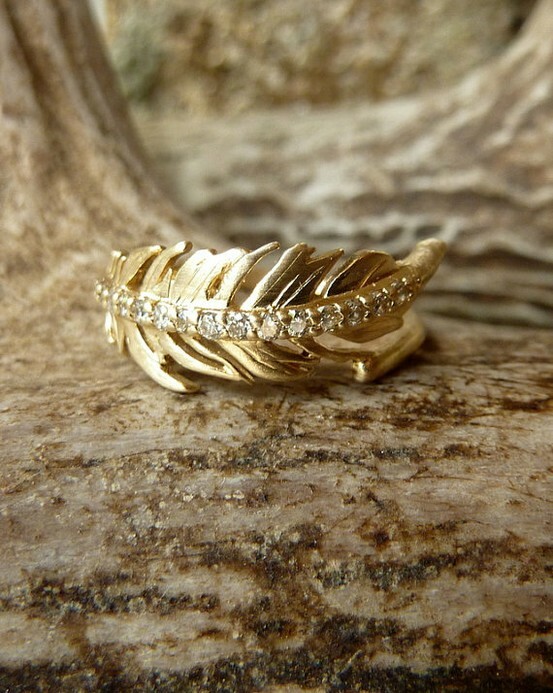 This kateszabone ring can be found on Etsy. Gold feather. What could be cuter? Ridiculously amazing iPhone cases. Available by vozcollective on Etsy. How To Loose Weight on Thanksgiving. Here I am on Thanksgiving eve sick in bed. The thought of eating anything sounds completely repulsive. I guess this is how you loose weight on Thanksgiving. Save a piece of pie for me. So the Middle East is fighting again & in the past six days approx. 100 people have been killed in Gaza. Justin Bieber & Taylor Swift won more awards last night at the AMAs. What else is new? It is so easy to get numb to what seems to be an endless & pointless conflict. Why should we care about a piece of land that is twice the size of Washington,DC and home to 1.7 million people? What does their mess have to do with a modern & civilized country like ours? Some Americans care for political reasons. Other Americans take an interest for religious or economic reasons. I really can’t explain this to you. I could try, but that would be a three month series that I am not prepared willing to write. I will tell you why every American should care about what is happening in Gaza. Gaza is full of people. And we should care about people. These aren’t just an idea of people or a hypothetical group of people. These are real people. And people should matter regardless of their language, religion or history. I don’t care about your religious or political view of the situation. Gaza is full of people & people matter. The victims aren’t just evil & violent men. They are kids walking home from school, widows trying to sell their food in the market, and fathers trying to protect their kids from gunfire. The victims are people & that is why we should care. If you want to know more BBC has a great summary and Donald Miller wrote a moving piece that tells the story well. Will you join with me in praying for peace & safety for the those caught in the middle of this conflict? I’m really excited about my new Lark & Bloom Sunday editions. Every Sunday you can wake up from your nap (because we all agree that Sunday afternoon naps are THE best) and stop by. I will post something I love each Sunday. Today’s post is pretty spectacular. We all know the amazing appeal & complete awesomeness of unicorns. During this cheery holiday season we need to pay homage to the Christmas version of the unicorn – the reindeer. I think this sweater does the trick nicely. 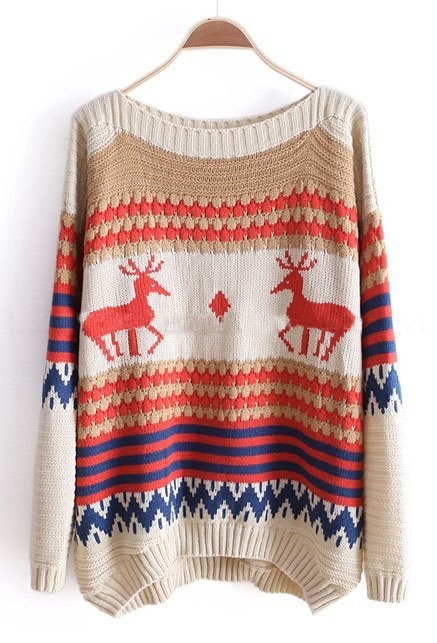 It looks cute, cozy & on trend at the same time. What’s not to love? Best part is it can be yours for only $32! Do you love the sweater as much as I do? Or am I the only one?